Save 10% with this coupon. Enter code 7DIOR8BR at checkout. 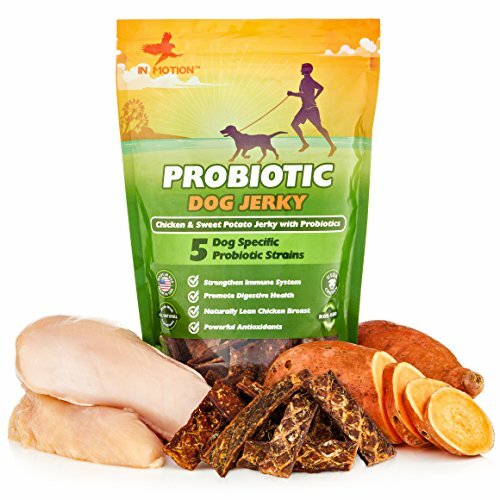 HEALTHY DOG SNACKS: An all natural, balanced, nutrient rich chicken jerky snack your dog will love! 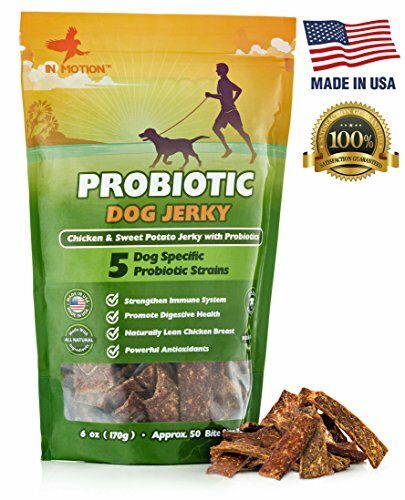 In Motion is proud to offer this delicious Probiotic Dog Jerky. 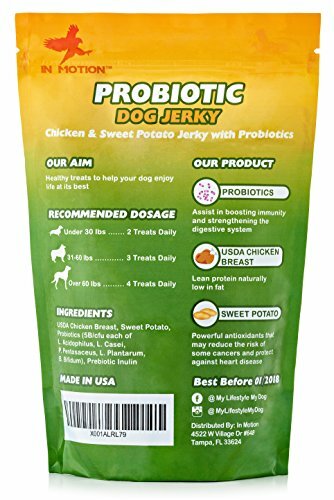 Boost your dog’s immune system and digestive system with this yummy treat, made with lean, low-fat USDA chicken, antioxidant-rich non-GMO sweet potato, and five strains of probiotic bacteria. 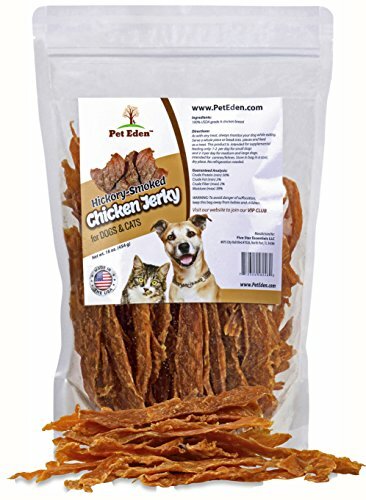 Our Chicken Jerky treats combine the health benefits of probiotics with lean protein and antioxidants from all natural non GMO sweet potato and USDA chicken breast. A healthy snack with probiotics to boot! Invest in your dog’s wellbeing by bolstering her immune system and strengthening his digestive tract, so you can both enjoy life to its fullest. 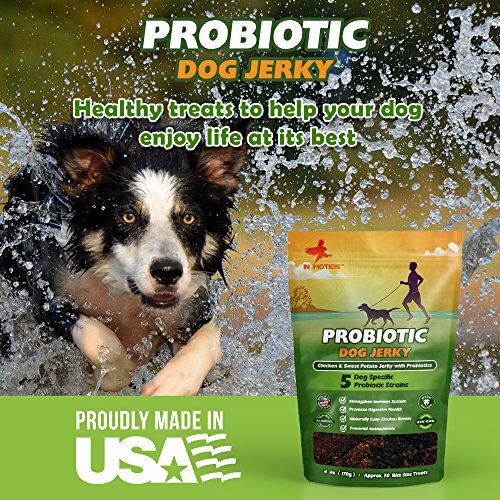 Probiotics strengthen your dog’s immune system and improve digestion, so your companion feels happy, healthy and up for anything. 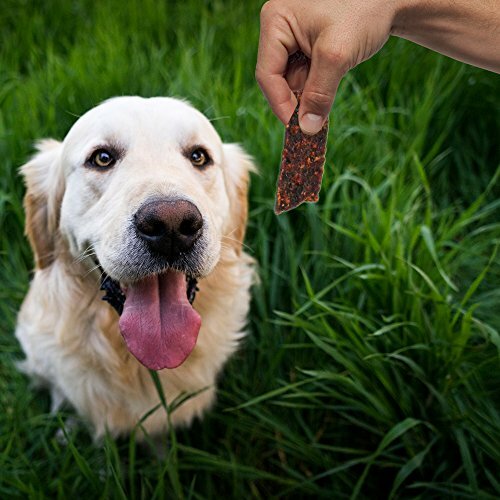 Plus with our Chicken Jerky, there’s no need to use a powder supplement. 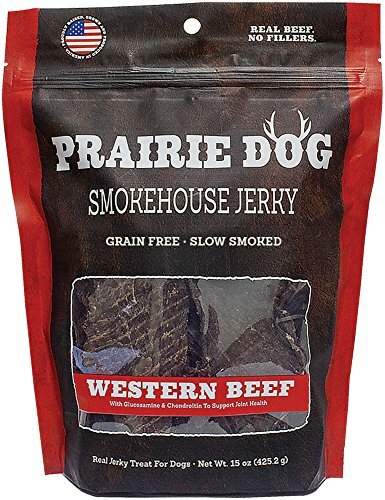 With five unique strains of probiotic bacteria, each with 5 billion CFU, our Jerky is a powerful dosage of probiotics. 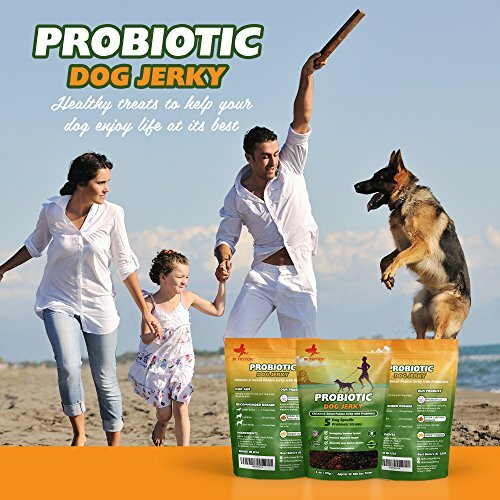 By combining these powerful probiotics with a natural treat, we make it easy to add probiotics to your dog’s diet while also eliminating the possibility of any allergic reaction, a risk that comes with more highly manufactured alternatives. Each and every one of our delicious dog treats is made right here at home with natural ingredients. Our recipe is human-grade, and we taste test our product! High quality standards are the key to our product’s success. 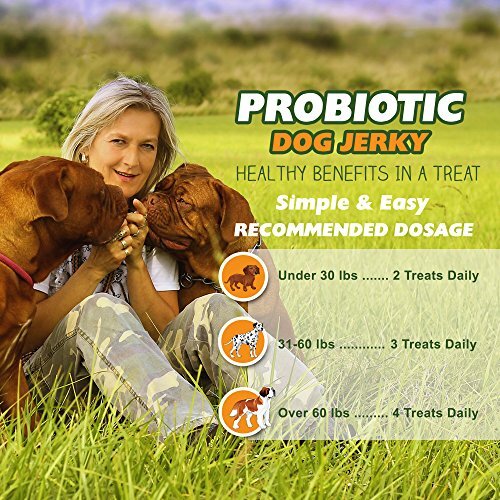 Our goal is to provide beloved dogs with a healthy snack and probiotic solution that makes them feel great. If our product doesn’t work for your pet, please get in touch, and we will issue a full and prompt refund.